Gave a talk at the Peabody Essex Museum in Salem, Massachusetts today, which has an amazing collection of Chinese art — in large part because Salem was a shipping capital with China. It also has a Qing Dynasty Chinese house, Yin Yu Tang, which is famously and painstakingly disassembled and reassembled in the museum. But of course Salem is famous for its witch fame, which it embraces with good humor. 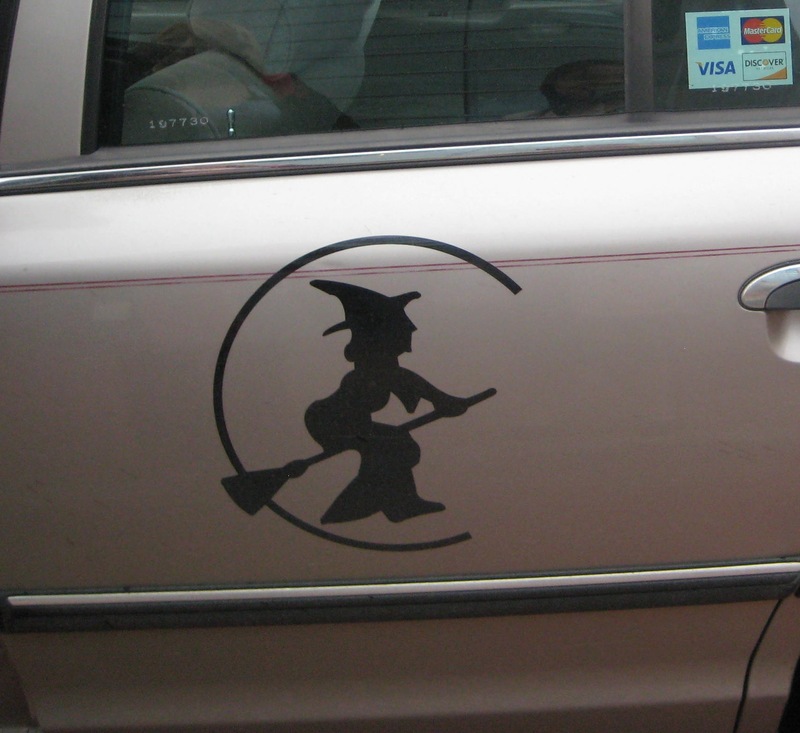 The taxi that took me to the airport arrived and I was amused to discover that its logo was a witch on a broomstick.